MyHospital® is a secure, HIPAA compliant instant messaging connection and communication system. Designed for everyday use by all healthcare professionals, hospital staff or just about anyone working in or for a medical center or hospital. Our instant messenger solution provides individuals, groups, and organizations of any size with secure, private messaging. 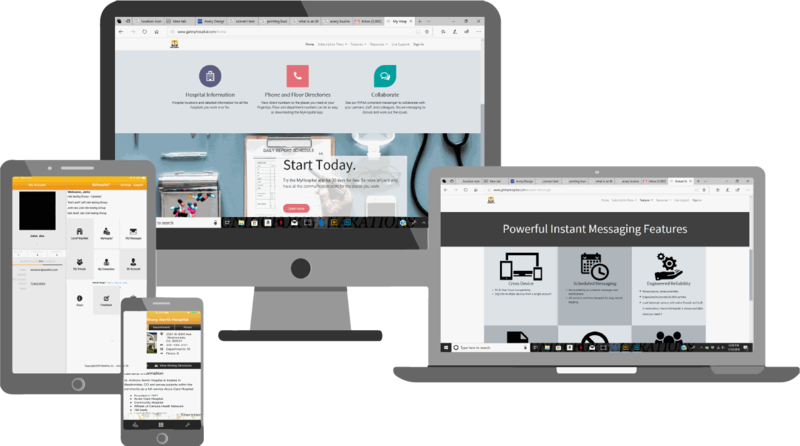 Our messenger works on all devices including desktops, tablets, and all phones to provide you with unlimited access to the individuals and groups your work with everyday. Easy-to-use, feature-rich application! Your staff can privately exchange and archive instant messages and data; all while maintaining HIPAA compliance.